With some reluctance, I feel compelled to return to the age-old topic of excessive credit-card debt. I do so because lately I’ve had chats with some of my nephews and nieces, all in the age range of 23 to 24. These kids have now all graduated from university or community college, have made a first stab at being in the workforce, and have already racked up what I consider to be excessive credit-card debt. In one case, this is combined with a hefty student loan. The (single) parent in question may not be loaded but I was nevertheless surprised by the extent of the debt. Same with the young person on the other side of the family, where the parents are doing quite well financially. When I learned he had this debt and was paying only the minimum monthly amount, you can imagine the discussion that ensued. In fact, I dug into the personal archives to confess that when I was their age (well, late 20s), I too was that close to insolvency. Unlike the situation today, when I was freelance in the 1980s I was single, rented an apartment and had no financial assets to speak of. My debts were minimal but I did tend to run a credit-card balance of $500 or $1,000 and until I woke from my stupor, did as my nephew is now doing and paid just the monthly minimum. As I related to my young relative, part of the reason for my indebtedness back then was that I was in the habit of buying Compact Discs, which then ran at about $20 each. My credit-card epiphany was when I realized that in a typical month, I was paying $40 in interest payments. One day I thought to myself, “My goodness. I could be buying two CDs every month with that money!” So I stopped buying them for awhile (I may even have done what I do today, and frequented a library) and whittled the balance down to zero. At that point, I reasoned, I was free to pay $40 a month in cash to buy two CDs. And I think that’s the way young people should approach this problem. Think of a good or service you value, then imagine it going down the drain to the credit-card company just because of your poor spending and debt repayment discipline. For example, my nephew is a big hockey fan: perhaps visualizing the purchase price of a junior hockey game going up in smoke each month might be enough to get him to change his ways. 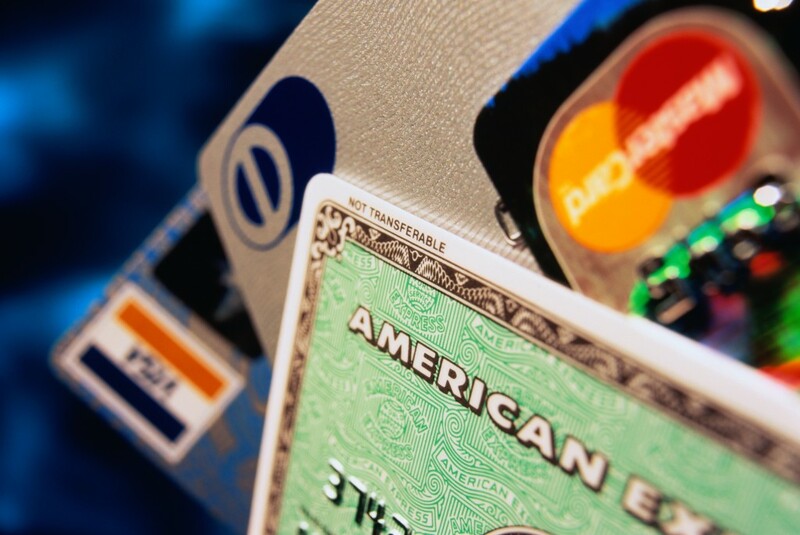 On his Boomer & Echo blog, fee-only financial planner Robb Engen once described his personal strategy for getting out from under the burden of credit-card debt. He was tackling the question of whether to pay off the balance in full the moment each expense is incurred, or waiting until the end of the 21-30 day grace period that amounts to an interest-free loan. As he relates, the risk of maximizing the grace period is that sometimes you miscalculate and end up paying out interest you hadn’t reckoned on paying. But the point remains. The credit-card companies love it if you leave balances unpaid and choose to do what my nephew did and pay just the minimum monthly amount. With interest rates still near 20%, that way lies madness: most card statements should say somewhere just how long it will take to pay off a debt if all you do is pay the minimum. It’s several years in most cases, and you’d be shocked to find out just how much interest you’re shelling out with this strategy (and I use that term loosely!). Far better to be on the receiving end of interest, either by collecting interest on GICs or fixed-income investments like bonds, or better yet, by owning the shares of big U.S. credit-card giants like Visa or MasterCard. Early buyers of either stock have made out like bandits, which is exactly what they are: bandits! Don’t let them hold you up!